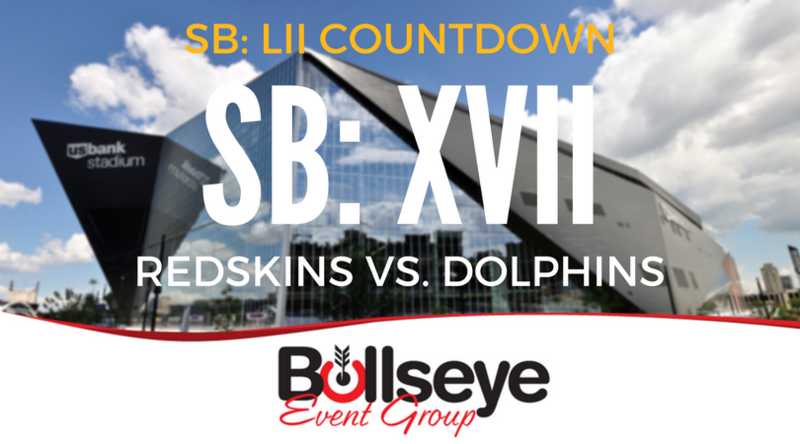 Continuing on the road to the 2018 Super Bowl in Minneapolis, we’re heading back to Pasadena, California for Super Bowl XVII between the Washington Redskins and Miami Dolphins. Over 103,000 fans piled into the famed Rose Bowl in Pasadena to watch the Washington Redskins compile their first Super Bowl victory in Super Bowl XVII in 1983. The Redskins set a then-Super Bowl record for 276 yards rushing on the ground, with running back John Riggins claiming the Super Bowl MVP trophy. Riggins finished the game setting two Super Bowl records, both for rushing attempts (38) and yards rushing (166), also carrying the ball in for a touchdown.